« Panasonic 90-280 F2.8-4 OIS Full-Frame? 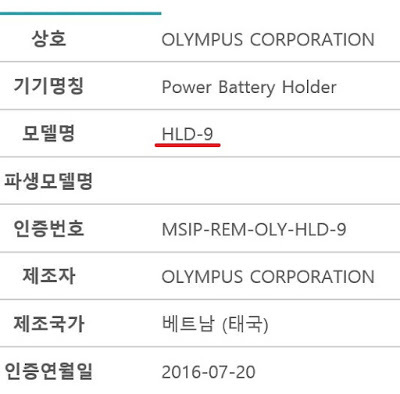 The Olympus HLD-9 battery grip was registered with the Korean Radio Research Agency and should be followed by an official announcements 30-60 days after the registration date of July 20th. This entry was posted in Olympus and tagged Olympus HLD-9 battery grip. Bookmark the permalink. Trackbacks are closed, but you can post a comment.